There are Universes in our midst, but assumptions can prevent us from experiencing their extraordinary wisdom, beauty, and elegance. What number would you multiply by itself to arrive at -1? Early mathematicians assumed such a number was useless. They referred to it in a derogatory way as imaginary. In the 18th century, mathematicians relinquished that assumption and began to give structure and meaning to imaginary numbers. They used the letter “i ” to denote the square root of -1. But it wasn’t until the 1980s that “super computers” enabled Benoit Mandelbrot to peer into a yet undiscovered universe. Named for him, the Mandelbrot Set is one of the most famous images in all of Mathematics. You can expand the Mandelbrot Set billions of times and elemental structures emerge again and again. (Play the short video at https://youtu.be/9G6uO7ZHtK8, listen to the music and imagine yourself peering into eternity.) We are blind to this breathtaking universe until we surrender the assumption that the square root of -1 is meaningless. At the time Benoit Mandelbrot was peering into infinity, I was teaching Mathematics at a private boarding school near Princeton, New Jersey. I lived in the dorm and was advisor to several freshmen. One Spring evening, David, one of my advisees, came to my apartment looking sad and frightened. He was about to complete French 1 with an elderly, kindly member of the faculty…one whose demands were minimal. That afternoon, David discovered he would be learning French 2 from an excellent, very demanding teacher. “Mr. Breisch,” he whispered in tears, “you have to let me out of her class. I’m not prepared. I’ll fail!” My heart broke, but since David was one of my (favorite) algebra students, I knew him to be diligent, intelligent and determined. I was certain he would succeed. In one of the most heart-wrenching moments of my time as a teacher, I looked him in the eye, told him of my confidence and that I would not let him shy away from this challenge. I sent him back to his room alone and in tears. The following year, after each French test, David returned to my apartment and we would, together, celebrate his success. I have lost track of David, but my hope is that, by surrendering assumptions about his inability, he began to peer into a breathtaking personal universe that was, until that moment, inaccessible to him. It was a stunning moment. I felt as though this woman had given me new eyes. My old eyes, when in the presence of a person who may lack abilities, were blinded by assumptions of what they were missing in their lives. The eyes she gifted me, by surrendering those assumptions, began to see worlds that were always there, but to which I was blind—Universes in which others are not lacking in abilities; they are given capabilities, capacities and wisdom I can never have. By peering through their eyes, hearts and souls, I can experience wisdom, beauty, and elegance in Universes in which it is I who is less-than-able in very profound ways. One Christmas afternoon many years ago, I answered a call on the National Suicide Prevention Lifeline (1-800-273-TALK) from a young man in middle school. Through oceans of tears he told me how he and his father argued almost constantly. All he wanted to know was whether his father loved him. It broke my heart. We talked a long time that afternoon until he felt he had a way to talk with his father. One of the last things he told me before the call ended was “I know I don’t know you well, but I can tell you I love you.” One of the most perfect gifts I have ever received on that day. Having spent nearly 3500 hours answering calls on the Lifeline, I have found that helping those who suffer is some of the most life-affirming work any person can be invited to do. On the other side of suffering is a profundity of joy and wisdom unavailable to us without the journey into the depths. But to truly affirm life, we must affirm all of life…including suffering. We are bereft of wisdom, empathy and love when we go to great lengths to eliminate or hide suffering; we do everything we can to avoid the journey that eventually leads to an understanding of the true nature of the human journey. When we hide suffering, we concentrate it in hidden worlds. We send the elderly to retirement and nursing communities; the infirmed and disabled are sent to homes. Depression and mental illness are closeted behind the closed doors of professionals. And while these places are caring and wonderful, those outside forget the suffering behind those doors. By concentrating the anguish into those places of caring, those left to attend to the suffering are overwhelmed by the enormity of what we ask of them. When suffering is hidden, we are left believing it is not normal for humans to suffer. Those who suffer cry in silence, believing it is their unique frailty or weakness that leaves them in pain. We think, “Since others around me are doing well, it’s just be me who is weak and unable to cope with life.” We miss suffering’s doorway into understanding and sagacity. I wonder how we might change the world if every person were to find even small ways to allow human suffering to reinfuse our lives. What if we began with the courage to let the world see our own vulnerabilities; bring the reality of the human journey back into our lives and communities. What if each of us spent time in places where we have gathered great suffering and gave a moment of respite to the caregivers who are becoming overwhelmed? Perhaps, in many of those moments, we will each receive gifts of gratitude and wisdom beyond any we have yet known. Yesterday, on the suicide hotline, I spoke with a young man who is struggling greatly as he nears the end of his high school career. A number of years ago, life opened before him a horrific, hellacious valley. He fell in and was held captive for too many years. In the past year, not wanting his life defined by the choices that caused his fall, he found the courage to claw his way out of the abyss. One of the miracles of the hotline is that callers, desperate for help, will often open completely and allow a glimpse into their heart and soul. This young man certainly did. I was witness to a heart filled with wisdom, generosity and love. And while his beauty was so very clear to me, all he could see were the mistakes that led to his trip into hell. He was nearly blind to the miraculous nature of his recovery. I was in awe of his courage on the journey. Nearly an hour into our time together, I paused and said, “I don’t say this to many callers, but I love you young man. I am in love with who you are, and who you are becoming through the struggles you have faced, and the courage you found to overcome.” He began to cry. Through his tears he said quietly, “I’m not crying because I’m sad. I’m crying because you’re the first person who has ever told me they loved me.” In that moment, I found it impossible to hold back my own tears. How could a young man preparing for college, never have been told he was loved or lovable? As I reflected on story of this young man, I thought of the two of you. I would be heartbroken if I thought there was even a moment in your life in which you thought you were either unloved or unlovable. I am in awe of the two of you as well. I am inspired by the joy, creativity, wisdom, generosity and love that flow from each of you. Even if I have told you before, it cannot be said too often: my heart nearly bursts with love and admiration when I think of either of you…and the miracle you are in my life. A sage in ancient India once observed a knife that can cut anything, cannot cut itself. As humans, we can easily see in others what we cannot witness in ourselves…just like the young man I spoke with yesterday. In moments of sadness, loneliness or challenge, even if you must take it on faith alone, remember you are truly loved, lovable and are a miracle in the lives of those around you. Note: The following will appear in the May/June Issue of Neighbors of Batavia Magazine. If I asked, would you tell me of your gifts—the unique, stunning aspects of your humanity and journey that make you like no other human ever born? Even if you were able, would you be willing? Or would you, like so many, feel anxious and find yourself filled with unknowing and confusion? Even worse, would you feel compelled to say there is nothing stunning about you? 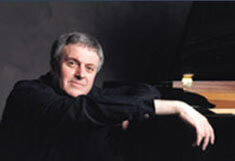 A friend, Michael Jones, is an exceptional improvisational pianist and elder. When Michael’s fingertips fall upon a keyboard, he and the piano become one, and glorious melodies emerge from them unbidden. So, when you find yourself lost, confused and uncertain, take comfort in knowing that this just may be your rightful path for now. Then consider seeking out guides who know and love you. Listen, and seek the courage to believe what they tell you. Finally, thank them for their willingness to see into the essence of the other and give it voice. You can hear Michael’s glorious melodies, and tap into more of his wisdom, at pianoscapes.com.